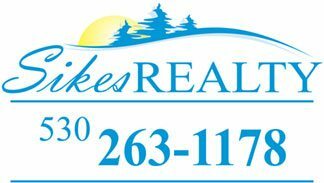 Pamela Sikes; Your Penn Valley and Lake Wildwood Real Estate Specialist! Nestled in the Sierra Foothill above the fog & below the snow! I specialize in Penn Valley Real Estate which offers many lifestyles from the gorgeous gated community of Lake Wildwood which includes an 18 hole championship golf course, 320 acre water ski lake, Kayaking, Swimming pool, Lighted tennis courts, Pickleball, Bocce ball, 5 lakeside parks, Clubhouse, Fishing, Softball field, Volleyball & many organized clubs to homes on acreage, vineyards or horse property. Penn Valley can fulfill your dreams. All of this is only about 1 hour from Lake Tahoe & Sacramento International Airport & 3 hours from the Bay area. From exquisite lakefronts & magnificent golf course homes to small cozy cabins nestled in the Oaks & pine trees, you will not be disappointed. I must say, ‘Nevada County is the most exciting area of all.’ The four seasons are breathtaking & you never run out of things to do & see. Nevada City is a vibrant, thriving community & entertainment capital of the Sierra Nevada foothills. Enjoy fine restaurants & lodgings, live theatre, music, shopping, antiques, art galleries, museums and a heartwarming Victorian Christmas. Grass Valley is another great area! Offering 3 movie theaters, dining, lodging, outdoor coffee houses, great shopping, mines, hiking and biking, it is a mecca for things to do! There are many homes in this area for sale that have a special appeal and unique styles that are a pleasure to show with something special for everyone! Grass Valley has a spectacular holiday season with a Cornish Christmas and the Summertime is filled with street fairs, growers, and farmers markets. While you are here let me take you on a tour of Penn Valley, Grass Valley & Nevada City, three charming, historical towns that are unbelievable during the holiday season. Grass Valley, Nevada City, Penn Valley, and Alta Sierra are some of the cities and communities that make up this incredible area we refer to as the “Sierra Foothills”. Rich in history, abundant in activities, wonderful climate, and friendly people. to learn more about Penn Valley Real Estate, or let’s chat about Nevada County.